Selon l'OCDE les écoles privées britanniques ont les meilleurs résultats : FAUX ! AMERICAN WAY OF LIFE... Selon l'OCDE, les écoles privées britanniques ont les meilleurs résultats : FAUX ! Contrairement aux idées reçues les écoles privées britanniques ne recensent pas plus de brillants bacheliers (A level) que les écoles publiques, selon une étude menée par le Pr. David Jesson de l’Université de York. 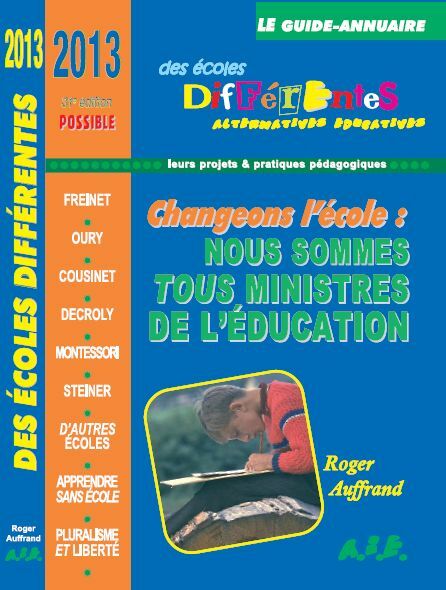 Cette étude qui, pour son auteur, "démolit le mythe selon lequel les écoles privées sont de très loin supérieures aux établissements publics" a de quoi inquiéter les parents qui paient parfois jusqu’à 20 000 livres (29722 euros) par an pour inscrire leur enfant dans une école privée. Les conclusions de David Jesson ont suscité une polémique outre-manche puisqu’elles viennent contredire les résultats de recherches récemment menées par l’OCDE selon lesquels les écoles privées britanniques affichent les meilleurs résultats scolaires au monde. Private schools often do little better than state schools at A level, according to research suggesting that the brightest pupils perform just as well whatever type of school they attend. The findings, from David Jesson, of York University, raise serious questions about whether parents who make immense financial sacrifices to pay private school fees of up to £20,000 a year are getting good value for money. Professor Jesson said that he had been surprised by his own research, which showed very little difference between the state and independent sectors in the proportion of the most able students gaining three grade As at A level, now almost essential for gaining a place at Oxford or Cambridge. “This is the demolition of the myth that independent school education is of itself creating better results,” he said. The findings, which contradict recent research by the Organisation for Economic Co-operation and Development, showing that British independent schools achieve the best results in the world, have already provoked controversy. Alan Smithers, the director of the Centre for Education and Employment Research at the University of Buckingham, was sceptical about the findings, which he said went against common sense. Professor Jesson’s results could also have far-reaching implications for fee-paying parents and for independent schools. Both rely on students at fee-paying schools making up 30 to 40 per cent of Oxbridge entrants. The Government encourages universities to accept more students from the state sector and parents may start to question the value of keeping their children in the private sector after GCSE. Professor Jesson’s research is based on the A-level results for the whole country between 2004 and this year and looks specifically at the brightest top 10 per cent of pupils, defined by their performance at GCSE. He compared results in independent schools, state schools, sixth-form colleges and further education colleges. Among the brightest 5 per cent of children, 75 per cent of those at private school attained three grade As, compared with 74 per cent at sixth-form college and 71 per cent at state school. In the next brightest 5 per cent, 45 per cent of private school pupils gained three grade As, compared with 47 and 41 per cent at sixth-form college and state school students respectively. “The public expectation is that because people pay a lot of money to go to independent schools, their results should be much better, but they do not appear to be,” said Professor Jesson, an education evaluator and economist, who presented his findings to the Specialist Schools and Academies Trust’s annual conference last week. He had not explored why independent schools seem to offer very little premium value to the brightest A-level students. But he noted a trend for pupils to leave the private sector after their GCSEs to study A levels at sixth-form college. Many state school A-level students could therefore have already benefited from five years in the private sector. He conceded that independent schools may still produce better results than the state sector in subjects most valued by the elite universities, such as science, maths and languages. A study published by Professor Jesson last year found that the most able 5 per cent at age 11 were only half as likely as those educated privately to achieve three A grades at A level at state schools. His latest research suggests that, by the age of 16, either the most able students may be less affected by their learning environment than younger children, or any disadvantage in the state sector is already over. Professor Smithers questioned whether using A levels as a comparator between different types of school was sufficiently discriminating, given that A grades were achieved in nearly a quarter of all A levels. “If I were a parent with a child in independent school, I would go with my instincts of what is a good school, rather than be unduly influenced by these figures,” he said.